It has been a while since I have since I have blogged. Sometimes things get put on the back burner whilst you concentrate on other areas. What is important though is having an outlet, pursuing something that makes you happy. Exercise is a great outlet, blows off steam, it improves your mood and boosts your energy to cope with everyday life. Don't you find too when exercising you sleep better too? I know I do. What you decide to do is up to you, whether it is housework, walking the dog, pounding the pavements or going to the gym working up to 30 minutes of consistent exercise each day is a great way to reap the rewards. 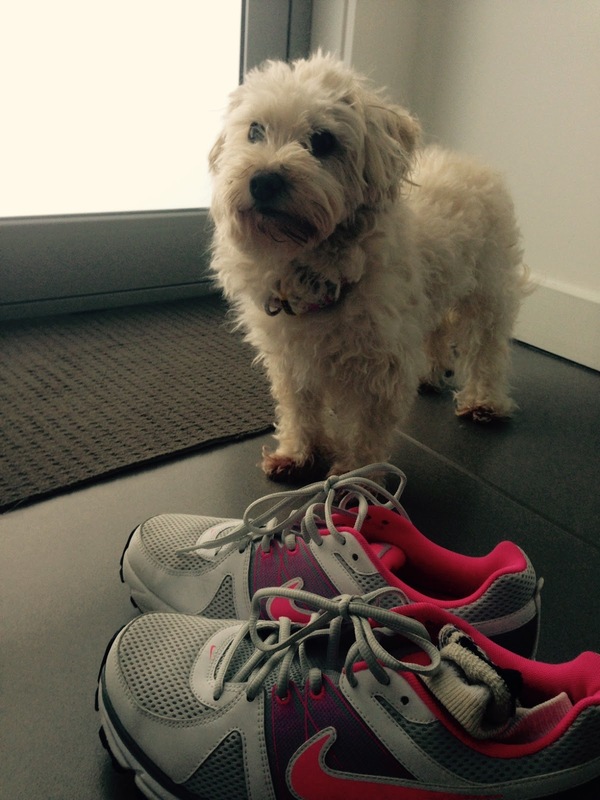 My dog Peaches is waiting beside my shoes as we speak, off to walk we go…..